The Press of Robert LoMascolo: Aurora Historical Society . . .
Aurora Historical Society . . . 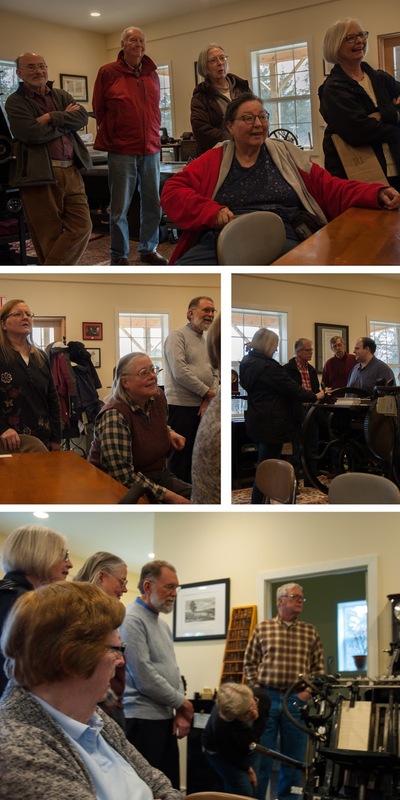 I was happy to host a very enthusiastic Aurora Historical Society Field Trip yesterday. Everyone enjoyed seeing the Heidelberg Windmill in action and printing bookmarks on the C&P.